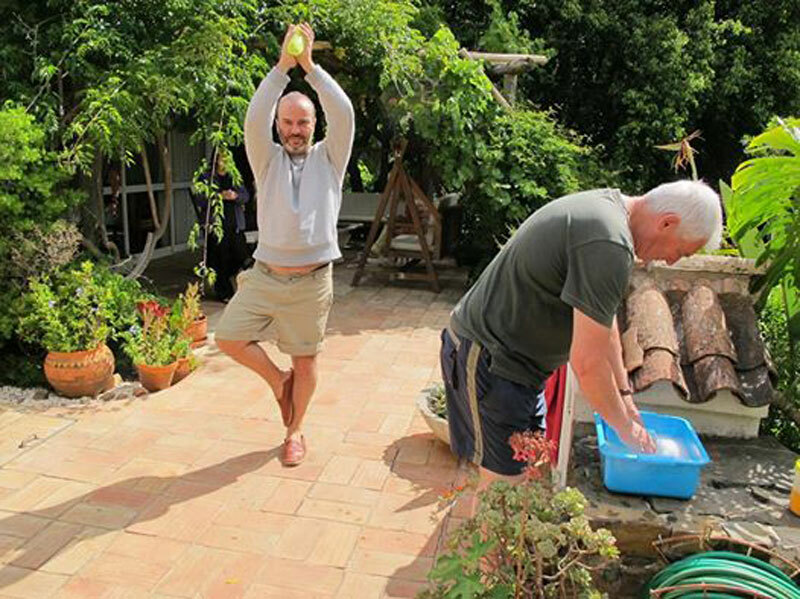 During our yoga detox fasting retreats we start and finish every day with meditation, either silent or guided. We teach classical hatha and raja yoga according to Swami's Sivananda, Vishnudevanada and Venketesananda. You do not have to be an expert to participate in the daily yoga, both beginners and advanced are accommodated. Fasting and Yoga complement each other perfectly. The combination of gentle moving, stretching and twisting together with deep breathing, speeds up the detox process. The lymph and blood transporting the released toxins are pumped through the body at a faster rate, improving drainage of toxins and speeding up the elimination process. Our Yoga and detox program is for everyone. Here is a perfect tree by someone who has never done yoga before. The state of relaxation brought about by yoga causes the healing, restorative parasympathetic nervous system to take over from the autonomic nervous system, and the body starts to clean and heal itself. The practice of yoga helps boost energy levels, as you take in and store abundant amounts of prana (energy) whilst holding postures and doing pranayama. The more you detox, the clearer the energy channels become, and the greater the effects of the yoga practice. Not only is this highly beneficial both short term and long term, but it also makes the detox process easier and a lot more enjoyable. You feel psychologically uplifted, and the mind is strengthened to carry on... It also gives you a clear indication of the energetic effects of yoga. During the detox program, the herbs, powders and pills facilitate the removal of toxic deposits from the body. When we eliminate these old poisons from our system, negative emotions can also be released. Hatha Yoga, Pranayama, Kriyas and Meditation can help this process as they are powerful tools to bring harmony and balance on all levels - physical, mental, emotional and spiritual. Yoga and fasting go hand in hand. Fasting is an important aspect for the spiritual aspirant, and Yoga is very beneficial for one who is seeking purification through fasting. One without the other will leave a void causing an imbalance on one level or the other. 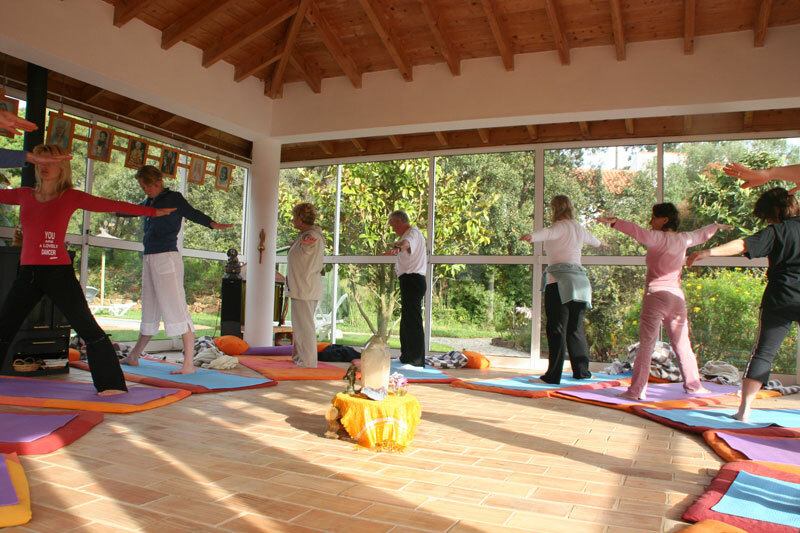 Here at Moinhos Velhos we find that the clients who regularly participate in Yoga and Meditation during the fasting detoxification and purification programs are the ones who benefit the most, often achieving a new level of physical, mental and spiritual awareness. For these people the fasting program is a joy as toxins on all levels are eliminated. 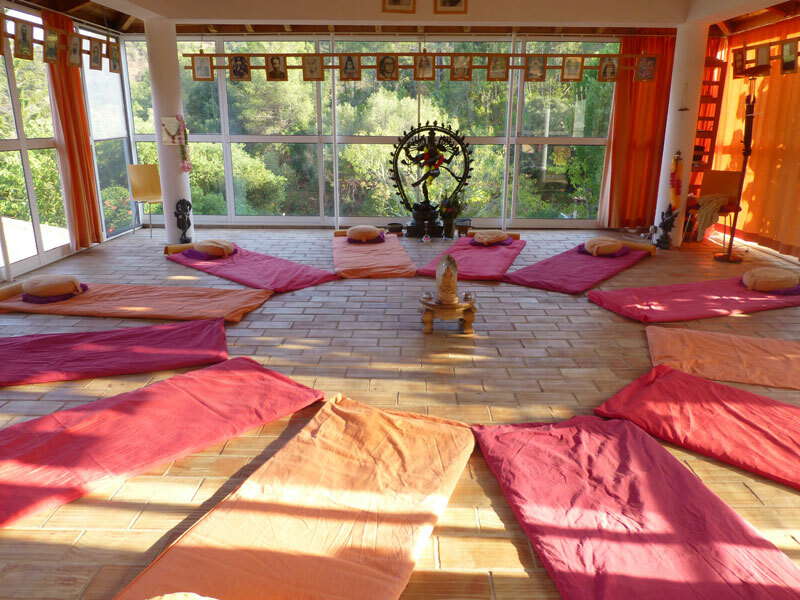 Yoga detox temple at Moinhos Velhos.